When a case involves a Medicare recipient, most cases will require a Medicare Set Aside in order to bring a resolution or settlement to at least the medical portion of the claim. Guardian MSA will provide the necessary services you need during all phases of negotiations while complying with Medicare regulations and in evaluating your claim to take your client's interests into account along with the Federal government's. The Guardian MSA team are all nationally certified Medicare specialists and are excited to help fulfill your needs during any phase of what can be a rather complicated and intricate process involving Medicare and the Federal government. Every Medicare Set-Aside allocation is assigned to a MSCC certified specialist with legal expertise in workers’ compensation and liability case evaluations. The mission of Guardian MSA is to serve both injured individuals and Employer/Carrier’s in the preparation of and submission of every MSA. The Claimant, the carrier, and Medicare all benefit from the proper preparation of a Medicare Set Aside. In cases where the Employer/Carrier has prepared an MSA, it may be necessary to obtain a second-opinion and look at a Medicare Set-Aside. Our goal is to prepare a fair, thorough allocation report that will assist in facilitating an overall settlement. Guardian MSA ... The Power of Specialists! Ready to Hire the Team That Cares? At Guardian MSA, we take the time for a thorough investigation to determine the best solutions for you and you clients. We navigate the complexities that are required during all phases of CMS submissions. A Workers’ Compensation Medicare Set-Aside Arrangement (WCMSA) is a financial agreement that allocates a portion of a workers’ compensation settlement to pay for future medical services related to the workers’ compensation injury, illness, or disease. These funds must be depleted before Medicare will pay for treatment related to the workers’ compensation injury, illness, or disease. 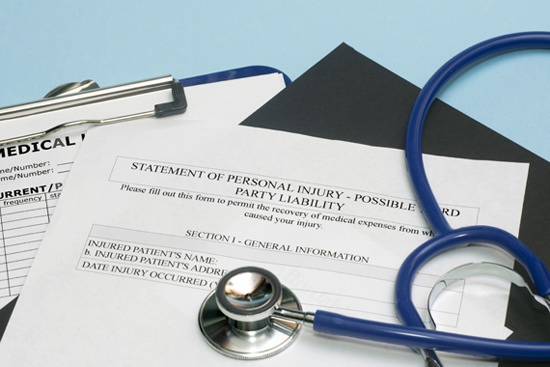 There can be a delay between when a bill is filed for the work-related illness or injury and when the state workers' compensation insurance decides if they should pay the bill. Medicare can't pay for items or services that workers' compensation will pay for promptly (generally 120 days). Medicare may make a conditional payment if the workers' compensation insurer denies payment for your medical bills pending a review of your claim (generally 120 days or longer). ©2016 Guardian MSA. All Rights Reserved.